Eurocom has recently announced the availability of NVIDIA GeForce GTX 780M and 770M SLI graphics in the Panther series of high performance laptop computer. 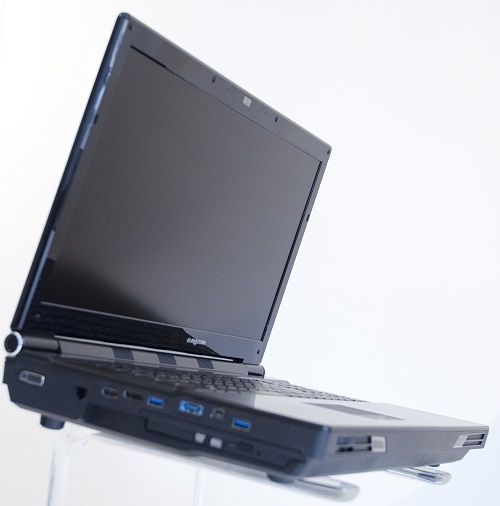 With the EUROCOM Panther 5D running dual NVIDIA GeForce GTX 780M in SLI, Eurocom was able to score P52284 in 3DMark Vantage, the highest score ever by a laptop. The full results, complete with screen shots can be found at the link below. The EUROCOM Panther supports LGA 2011 line of Intel Core i7 and Intel Core i7 Extreme processors as well as Intel Xeon processors with 8 cores and 16 threads. It also supports two VGA modules via standard MXM 3.0b interface. The EUROCOM Panther uses quad channel memory, and enables it to support up to 32GB of DDR3 1600MHz RAM via four 8GB SODIMM 204 pin modules. The Panther has support for four storage drives with RAID 0,1,5,10 capability. With support for up to four 1 terabyte storage drives, the Panther is able to offer 4 terabytes of storage. RAID 0,1,5,10 capability gives users the ultimate in performance or redundancy.